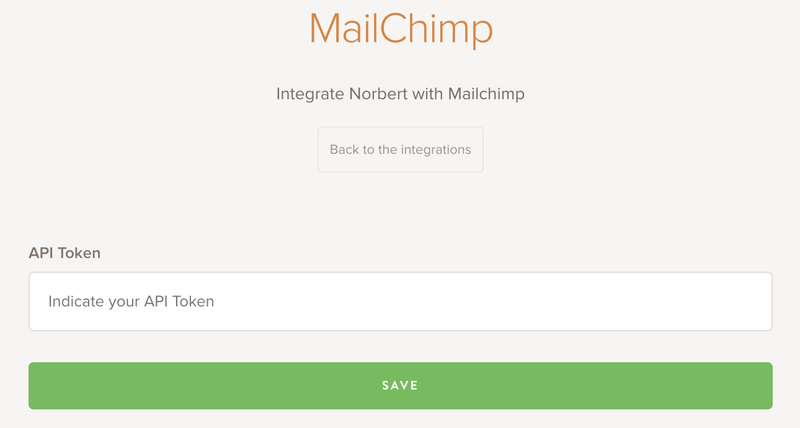 To integrate Voila Norbert Verify with Mailchimp click on the Add to Mailchimp button in the Integrations section. After you click the Add to Mailchimp, you will be prompted for your Mailchimp API token. Authorize VoilaNorbert and the integration process will be completed. 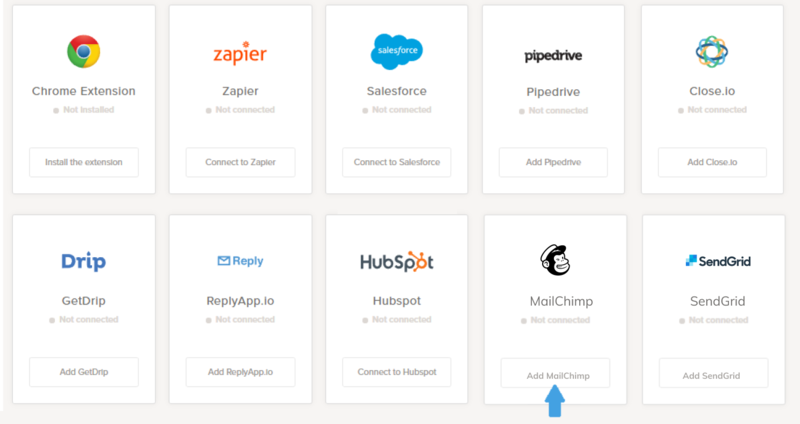 The integration helps you verify the email addresses on your MailChimp lists. With the MailChimp integration activated, you can validate the deliverability of new email addresses that are added to your email list from within your MailChimp account. You can disable the integration to MailChimp at anytime by disabling MailChimp Integrations on the integrations page. 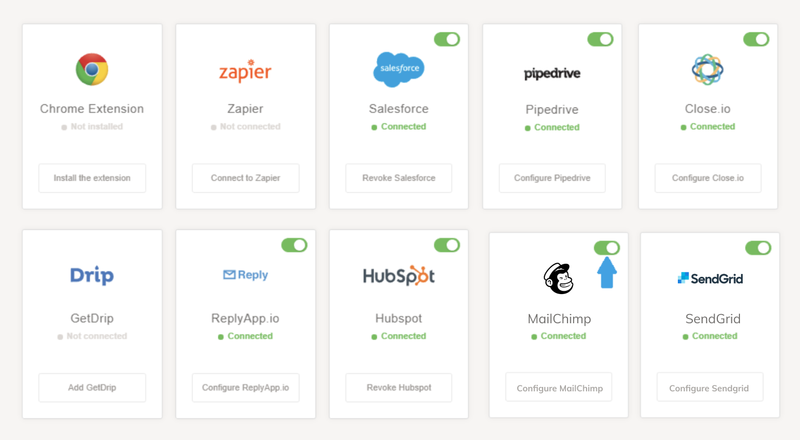 You can cancel the integration on your MailChimp account by using the Configure MailChimp green switch as shown above on the in-app Integrations page of VoilaNorbert.